IFA 2017 saw another launch today - the Blackberry Keyone Black Edition with matte black aluminum elements is going global. The phone’s Black Edition will arrive to key markets in Europe, North America, Middle East and Asia. TCL Communication, the main BB licensee, also announced pricing and availability. 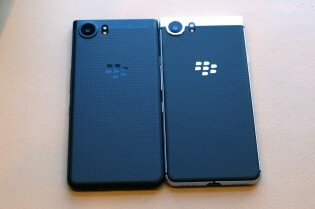 Blackberry Keyone Black Edition vs. Regular edtion. 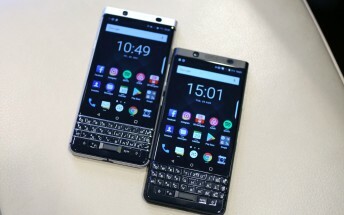 The Blackberry Keyone is already a phone that gathered a lot of interest due to its unorthodox decision of having 3:2 ratio screen with a physical keyboard underneath. 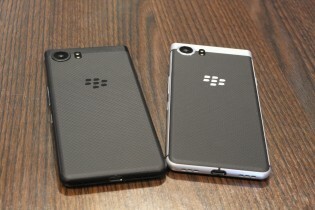 The release in more than 30 countries “exceeded expectations” and the company decided to follow up with a new edition. "Here comes the man in black". You might think an announcement this big brings plenty of hardware changes, but there are just minor improvements. Blackberry Keyone Black Edition will have 4 GB RAM combined with 64 GB storage and 2 TB expandable storage with a proper microSD card. All the other specs stay the same - 4.5" screen, Android Nougat 7.1 and Qualcomm’s QuickCharge 3.0 technology. The camera on the back still is 12 MP with an IMX378 sensor with a wide aperture lens and 1.55 μm pixel size and this whole setup runs on Snapdragon 625 chipset. 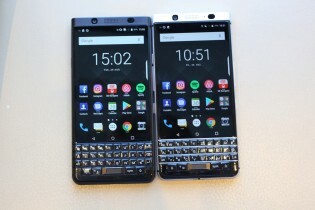 First countries that will get the Blackberry Keyone Black Edition are the UK, Germany, France, Canada, UAE, Saudi Arabia and Japan. 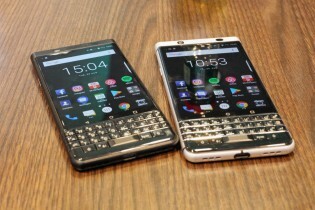 The price for the respective markets is €649 / £549 / CAD799 / AED2,299 / JPY79,800. The phone will be available to other markets “later this year”.